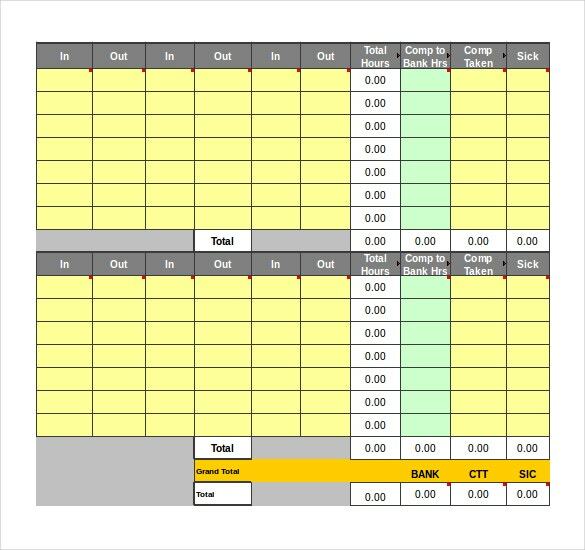 The simple difference between a weekly and bi weekly timesheet template is that one records the employees working time week by week and the other records it for two weeks. The time is recorded in a decimal format which is quite a different technique like a two hour thirty minutes of work would be entered as 2.50. 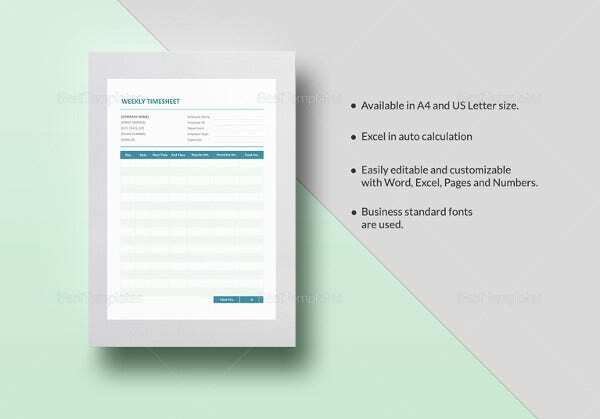 You can see also daily timesheet template. But you can view the samples to understand the working of these timesheets. 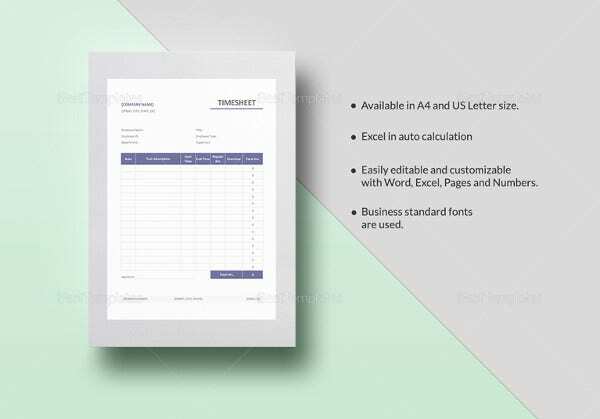 These timesheet templates offer the company many details example; logo, company’s vision, mission and core values so that the employees are always reminded of the objective they are working for. 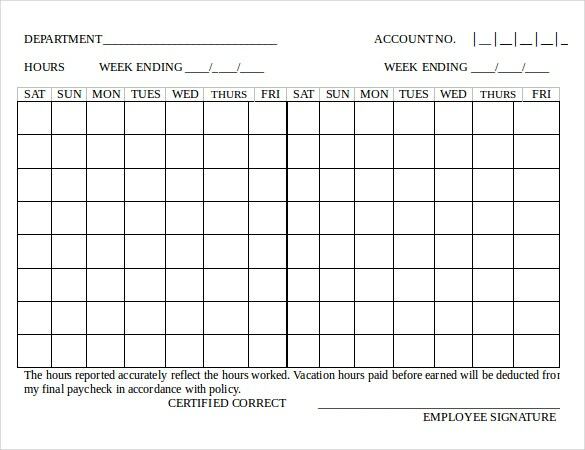 A bi-weekly timesheet is a tool that companies use to oversee the regularity of their employees. The timesheet records whether an employee has been regular at work and also the number of hours they have worked. 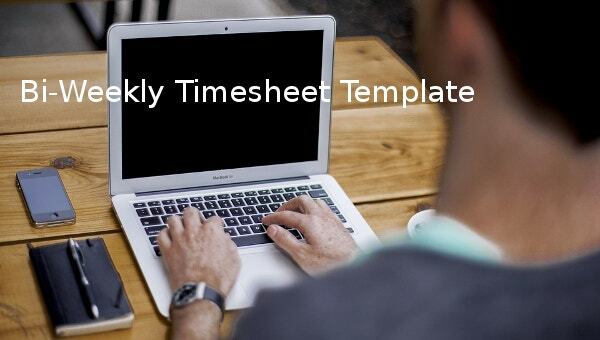 A bi-weekly timesheet is specifically designed for a time period of two weeks. 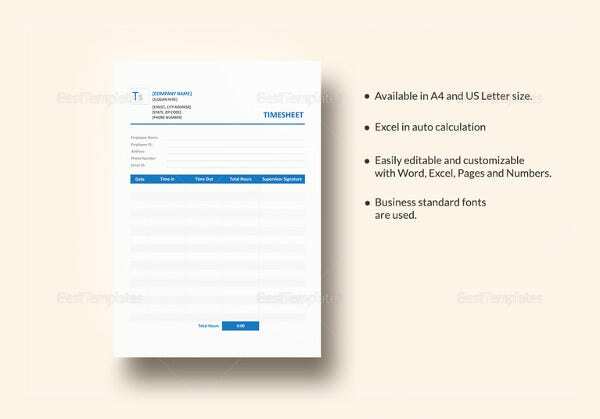 Users can find bi-weekly timesheet template in Word, Excel and PDF files, available for ready download with us. 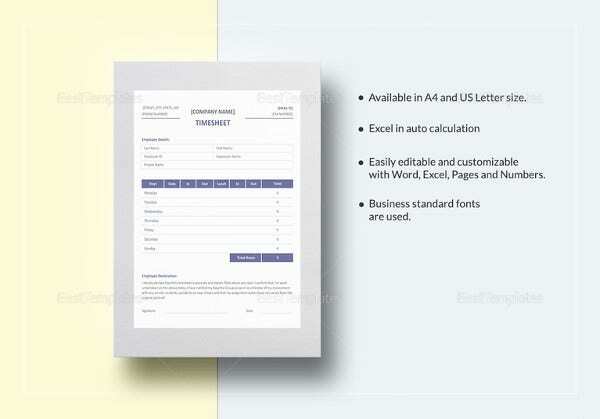 The bi-weekly timesheet templates we provide are designed by experts and can be used by any organization. You can see also sheet templates. The bi-weekly timesheets are used by companies to keep a record of the work of their employees over a certain period of time and also to check the productivity and ensure its continual growth. There are many types of timesheets used in many types of companies. 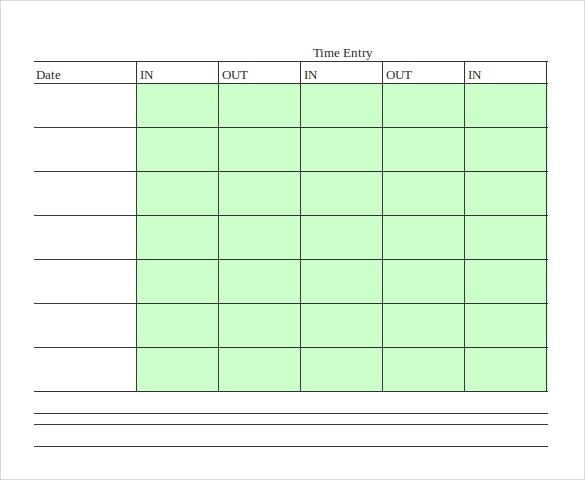 Sometimes it is utterly important for some companies to use a certain type of timesheet, but if your organization doesn’t have any kind of constraints or any restrictions that compel you to use a certain type of timesheet, it is suggested that your company may follow the bi-weekly timesheet. In other words it would be suggested that for all types of companies that are clueless about which timesheet should they choose a bi-weekly timesheet would provide for all of their purposes. This holds a pretty good reason. Bi-weekly timesheets have a very optimum time period of operation. Monthly timesheets extend for a period of thirty days whereas weekly timesheets occur very frequently inside an interval of seven days. Both these timesheets are pretty much at two ends and therefore one may find it important to have an combination of both which balances the attributes of both kinds of timesheets, keeping the employees under a constant check and at the same time, not pestering them continuously. For this purpose, bi-weekly timesheets really seem a very good answer. 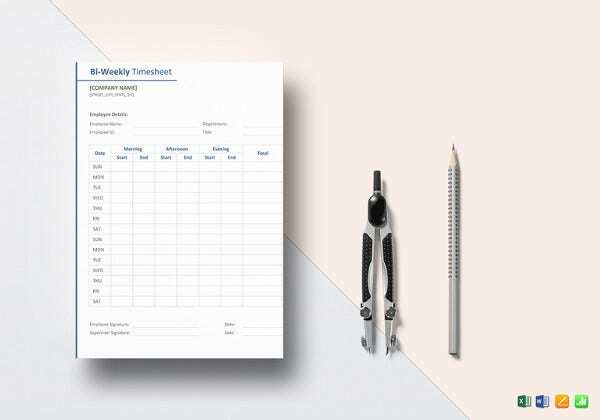 It is pretty easy to create bi-weekly timesheets because they do not have to have complexities like the ones that might be seen in monthly timesheets and they don’t even have to have the detailing that goes in the making of weekly or daily timesheets. 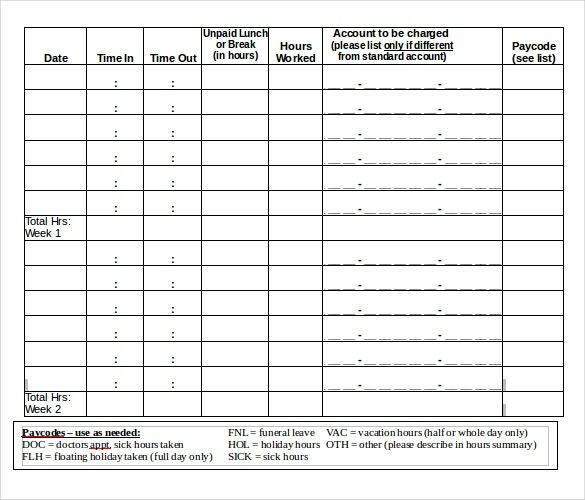 Bi-monthly timesheets are also very easy to fill up and the employees can fill it up in no time. This serves both the purposes – it does not bother the employees and at the same time it also meets the requirement of the company which is keeping a track of its employees. You can see also cover sheet templates. The bi-weekly timesheets ought to be created in a certain fashion because their purpose is optimizing the results of the timesheets and minimizing the effort that is generally required to be put in them. In such conditions if someone meddles too much with the timesheet, it is likely to become complex and fail its purpose. 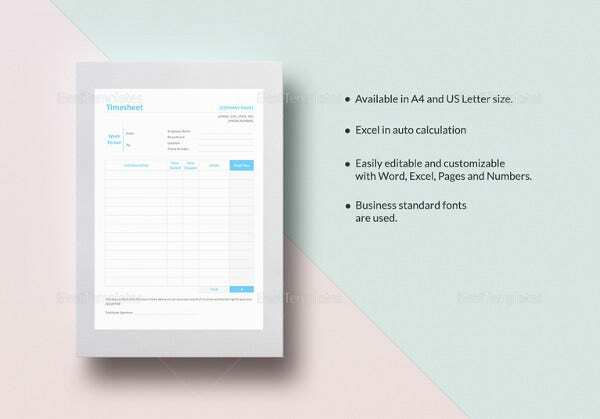 These templates come for free and are editable, that is users can make the necessary changes to the templates as per requirements. You can see also balance sheet templates.